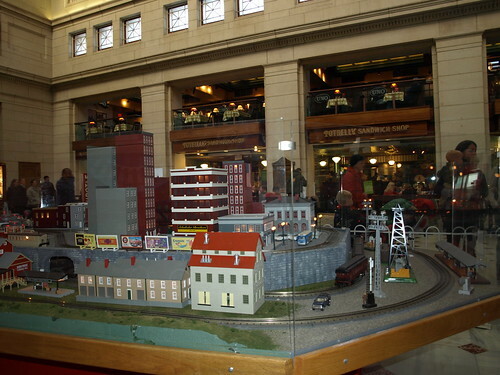 The model train displays seen in Union Station are made up of O Gauge trains from the steam and modern eras. 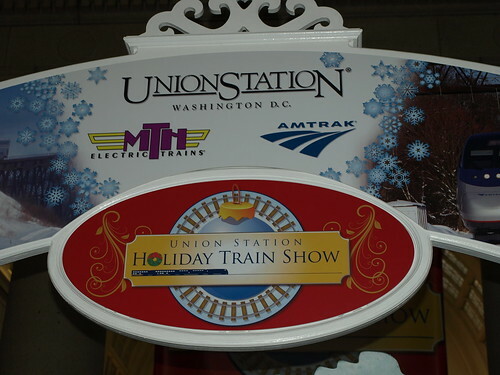 Every train is outfitted with state-of-the-art electronics capable of recreating the sounds, lights and smoke of their real-life counterparts and each display is controlled by the M.T.H. DCS Digital Command System providing hands-free control of the railroad by starting, stopping and running the trains independent of a human “engineer”. The displays are enough to keep a toddler enthralled for hours. I enjoyed them too. While I always enjoyed the Norwegian display (mountains, fjords) I like the city/town displays that MTH put together. They did include a mountain display too. Visiting Union Station in and of itself is usually great, but unfortunately, there was significant earthquake damage, so repairs are underway (WTOP).